Mauritius has been a hot spot for rare marine life lately, and Pacific Island Aquatics recently hauled in a whole bunch of fish from that region that we don’t normally get to see. 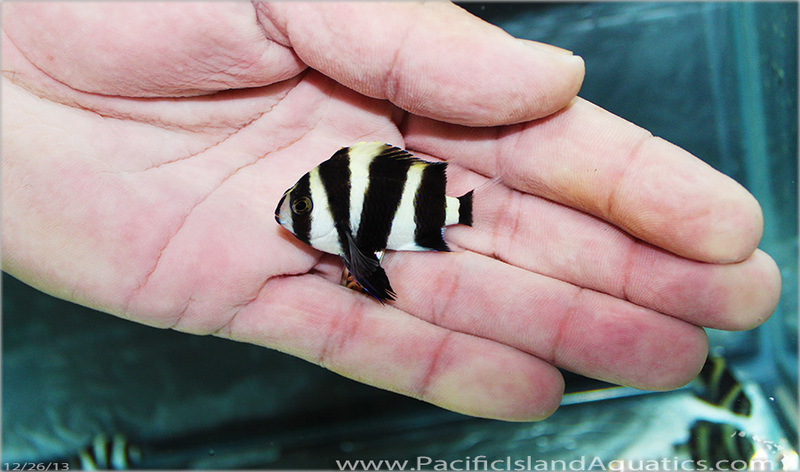 Besides the always glamorous gem tang, which the trade has known about for many many years, PIA also got their hands on a couple of other Mauritian gems like the zebra tang, tiger damselfish, and one amazing triggerfish. Each of these fish are beutiful in their own right, so it’s hard not to drool all over the keyboard when viewing the pictures. 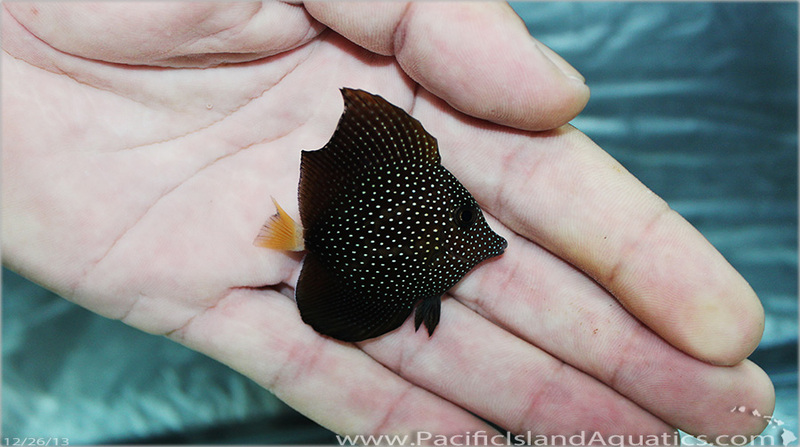 The Gem Tang (Zebrasoma gemmatum) is easily the holy grail of the surgeonfish world. 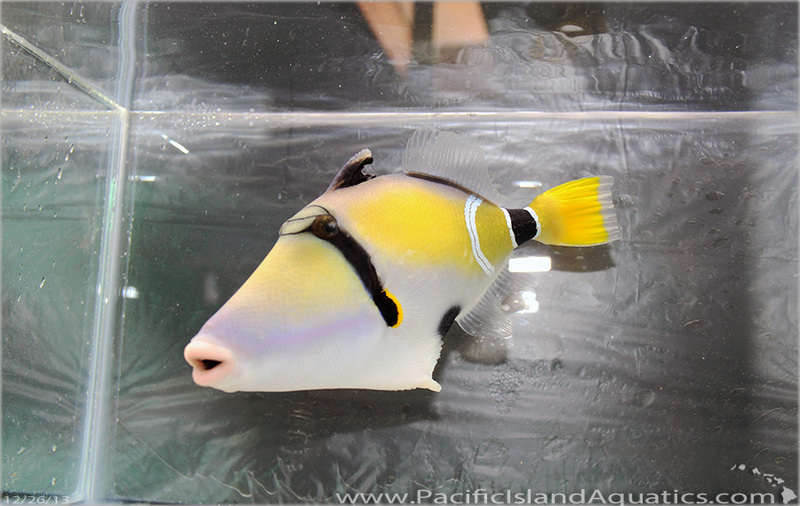 It has probably the most unique patterning of any surgeonfish out there, and it’s actually a pattern that doesn’t go away with time, such as with the Chevron tang (Ctenochaetus hawaiiensis). Instead, the fish just gets bigger and bigger all the while sporting its out of this world coloration. Due to the severe rarity of this fish in the trade, they often have a beefy price tag that exceedes $3000, regardless of their size. The Mauritius Triggerfish (Rhinecanthus cinereus) is another incredible fish hailing from the western most portions of the Indian Ocean. 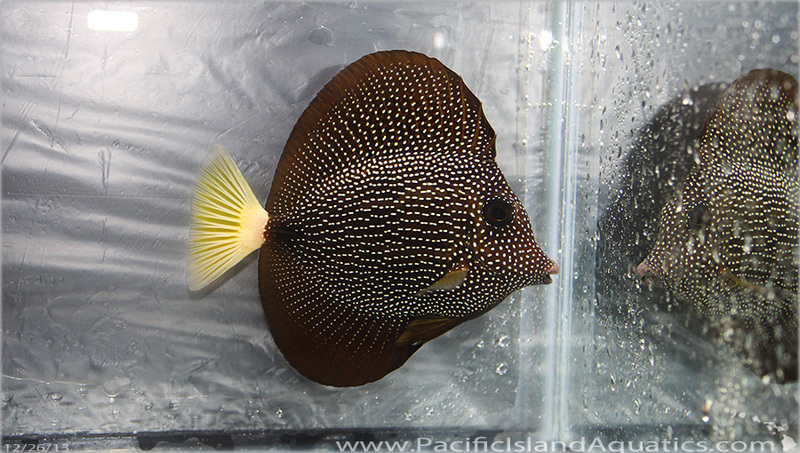 This stunning trigger is part of the ‘Picasso’ group of triggerfish, and probably one of the least known and most beautiful one at that. The snout of R. cinereus seems to be a bit more elongated than the more common picasso triggers, giving it a unique shape to go with its amazing coloration. 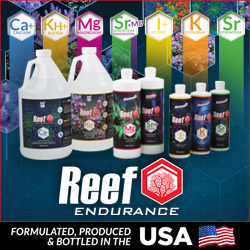 Not many of these fish show up in the aquarium hobby, so it’s quite a treat for us to see one showing up in the tanks of a US based retailer. 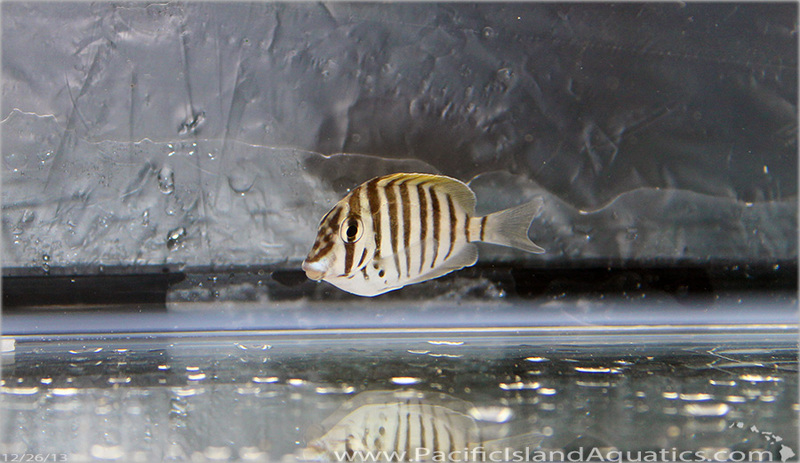 The Mauritius convict tang (Acanthurus polyzona), which has been enjoying a great deal of the spotlight in recent months, isn’t like your typical convict tang, which can be found in Hawaii and other parts of the Indo-Pacific. 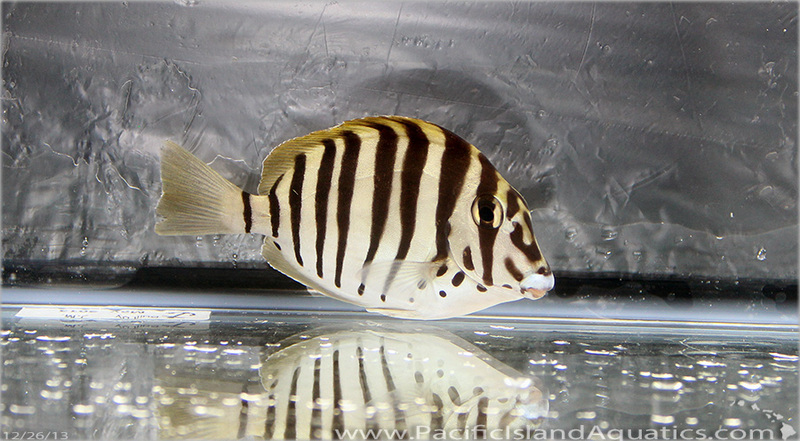 Sure, they share a name and a color pattern, but this Mauritian tang (also called a zebra tang) is so much cooler…and so much rarer. Instead of a handful of vertically oriented pinstripes, the zebra tang sports thicker bars that angle toward the front of the body, at least at the top and bottom of each bar. In addition to the stripes, the fish also sports various dots, typically seen around the pectoral fin and face. We’ve never been too high on damselfish, but this Mauritian tiger damsel (Chrysiptera annulata) is quite the unsual looker. So unusual, in fact, that we’d love to have one (though that’s pretty cost prohibitive at this point). 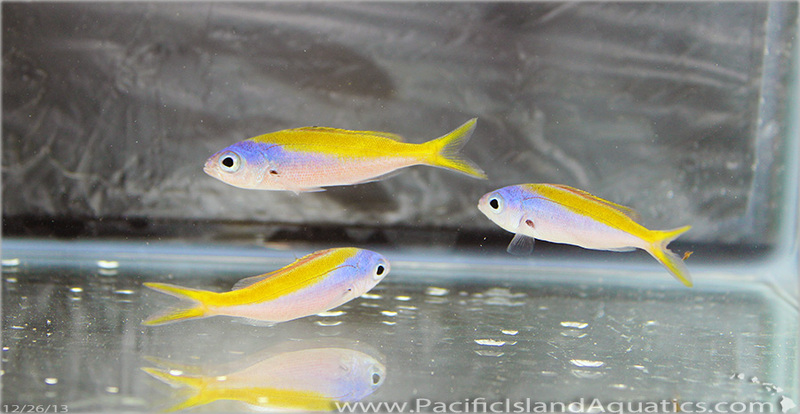 Vaguely resembling the far more common four stripe damsels that you can find at any fish store for a few bucks, the Mauritius species has triangular shaped stripes that are just plain awesome. 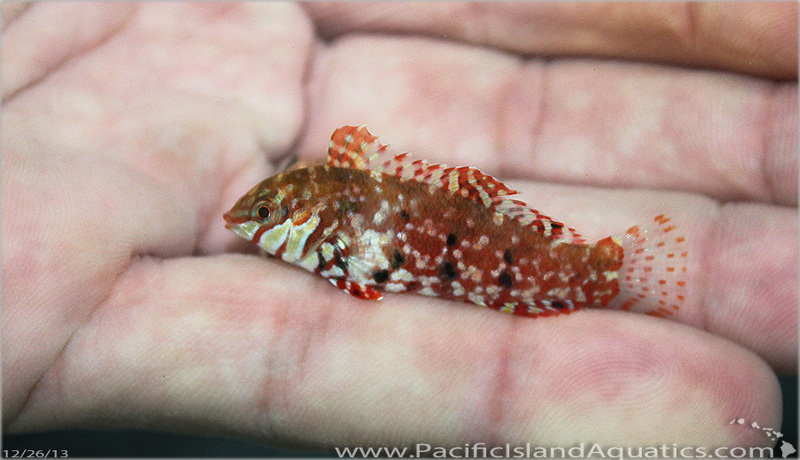 They, like all of the other fish shown in this article, are quite rare and pricey…and Pacific Island Aquatics has a few of them.